CDC first described the new illness in June 1981 even though the first known death in the developed worldÂ was in 1959. 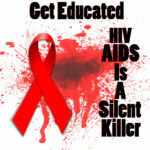 About 36.9 million people worldwide are living with HIV/AIDS today while more than 39 million have already died from it. Come check out the library’s June display and be “educated”.